Is it right to make heart ( <3 ) (on facebook) under posts like hadees or ayat? It is permissible to express ones liking to a ayah or Hadith by “liking”, “showing love” or commenting with a heart on social media. However, the “liking” is not to be restricted to social media. One should act upon the ayah or Hadith that they “liked”. It is an unfortunate phenomenon of our time that we are always “liking” Islaamic posts online but we do not heed to the purpose of the post; our lives remain unposted. Firstly, as an introduction, understand clearly that hayaa is one of the most essential qualities of a Mu-min. It is also naturally to a much higher degree in a woman. 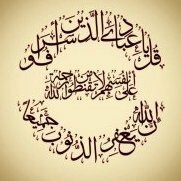 The Sahaabah (radhiyallahu ‘anhum) were the true embodiments of hayaa. Sayyidah Faatimah (radhiyallahu ‘anha)’s reply emanated from her natural hayaa which Rasulullah (sallallahu ‘alaihi wasallam) aptly engendered. These are the footsteps in which we should follow. While social media platforms have their own terminologies which do not convey the literal meaning of the word, nevertheless for a female to still say that she has many (non-mahram) male followers is not in keeping with the dictates of hayaa. Males “following” a non-mahram female will throw open the doors of fitnah. On a general note the same applies to females following non-mahram males on social media. Further, it is extremely important that the wife be obedient to the husband in anything that does not contravene sharee‘ah. Thus even if something may be permissible, but the husband, for whatever reason, is not happy that his wife be involved, participate, etc. in that aspect, then the wife should obey the husband. Rasulullah (sallallahu ‘alaihi wasallam) is reported to have said that had sajdah been permissible for anyone besides Allah Ta‘ala he would have ordered the wives to make sajdah to their husbands. (Sunan Tirmizi #1159) Therefore, bear this in mind in all aspects and insha-Allah there would be great barakah in your marriage. May Allah Ta‘ala grant us all the correct understanding of Deen and enable us to practice that which will please Him. An average user would spend from one to several hours per day, posting photos, instant messaging, tweeting, etc. While social networking has become a staple form of social interaction, it comes with a host of potential dangers. Does social media augur well for society or has it made people insensitive and lethargic? Statistics prove that inconsiderate use of social media has been responsible for numerous crimes, marriage breakdowns, absent mindedness, road accidents, divorces, murders and other social problems stemming directly from indulgence on social platforms. Researchers are of the view that social media affects one's mental health and impacts seriously on the way one thinks, speaks and writes. Many children and teenagers are less likely to leave their houses and interact socially in real life due to their absorption in the virtual life of social media. It has created a generation of 'addicts' to instant feedback. The reality is that the social media platforms are new methods of interaction. They cannot be wished away! However, when social media is used responsibly it can have beneficial and positive results. Importantly, there has to be a sense of responsibility in the usage of social media which can be harmful and can have an adverse effect on the user. Moreover, for a Muslim, the greatest challenge is to avoid committing sins through this medium. Sadly, it has become so easy and tempting to backbite, slander, spread false information and injure the feelings of innocent people by the mere press of a button. Be conscious of Allah Ta'ala at all times. Using the bounty of Allah for His disobedience is sheer ingratitude. Adults should set an example by responsible usage. Parents need to do regular checks on their children. Allowing children uncensored use of technology is opening the road to various problems. Social etiquette must be adhered to. Texting and showing indifference to one's spouse, or to people in a gathering is disrespectful and a sign of bad manners. It is absolutely annoying when people are involved with texting during social gathering. Do not become addicted to your phone or ipad. Do not enslave yourself to the 'ping ping' sound of a message or email. Control your phone and do not let it control you. Do not communicate with ghayr mahrams, (persons with whom marriage is permissible). This is destructive to one's chastity, Iman and marriage.